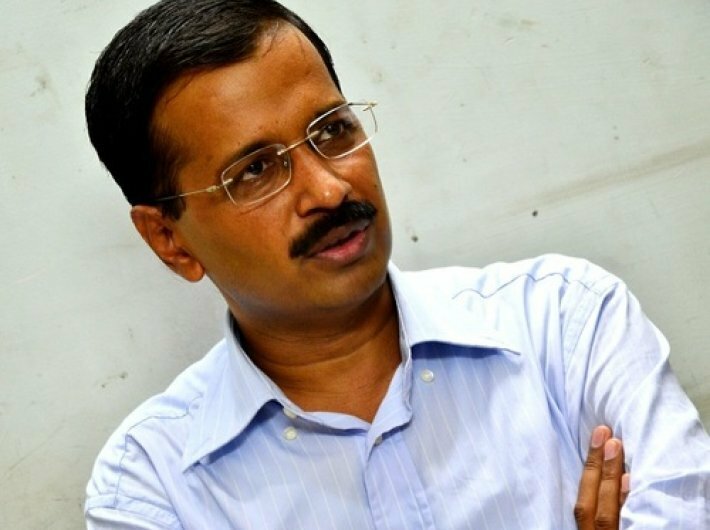 Aam Aadmi Party (AAP) leader and Delhi chief minister Arvind Kejriwal on Monday wrote a letter to the election commission, saying that the charge of bribery against him is baseless. In a letter addressed to the poll panel chief Nasim Zaidi, Kejriwal said that he is attempting to end corruption. He added that the whole country knows that the birth of the AAP took place through a movement against corruption. He stressed that in his every election speech, he has said that take money from other parties, but vote for ‘jhadu’, the party’s election symbol. Kejriwal asked the election commission to reconsider and allow him to make this statement. The election commission of India has censured Kejriwal over a bribe remark he made during a rally in Goa. The commission said it has carefully studied Kejriwal’s response to its notice and that it found “not at all convincing since in the impugned statements you have called upon the electors not only to refuse to accept this time Rs 5000/- but ask for Rs. 100001- when BJP workers come to distribute money in election time, citing price hike and to take new currency notes”. The poll panel said that in case of similar violation of the model code of conduct in future, “the Commission shall take stern action against you and your party, using all powers available to it including action under Para 16 A of the Election Symbols (Reservation and Allotment) Order 1968”. The poll panel said that it had warned Kejriwal to be careful in an order dated January 27, 2015.